Changing Careers after your 20s; it is never too late! Stop losing sleep on Sunday evenings; change is always a good thing! With Sunday roast for dinner and leftovers for lunch, at work tomorrow, you begin to settle into your end of weekend rituals. Then it hits you, like a freight train, your thoughts of Monday makes you collapse onto the couch. 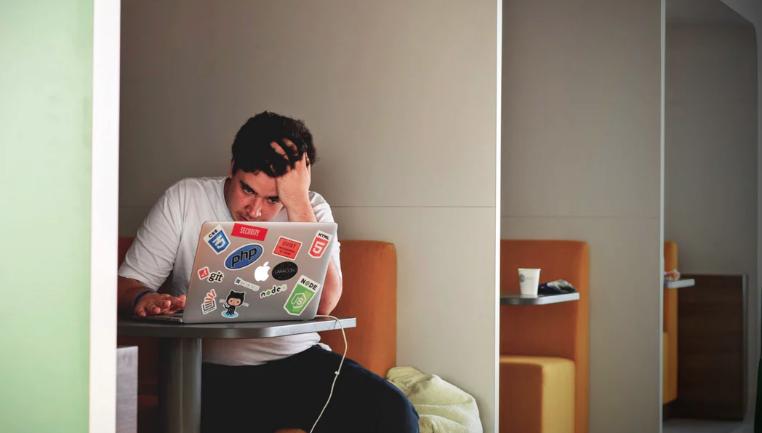 Anxiety takes over, and you are hoping time slows down to avoid the inevitability of returning to work Almost like clockwork, Sunday evenings cause you to re-evaluate your career path. Fast forward it’s 1 am, and you are watching True Lies for the 20th time on cable television withholding from much-needed sleep. Time for a new career! Don’t feel bad; you are not the only one that does this. It can be tiresome, especially when you reach out to others saying that you hate Mondays. You may find yourself with fewer people following you on Facebook, the answer to them is pretty apparent. Monday isn’t the problem, it just a day like any other. Your problem is the job you have and the continuous struggle to find meaning in your work. Rolling up your sleeves to earn a raise may initially feel good, but the sense of fulfillment will fade away. The first thing you need to do is figure out a job or career path that you would be willing to go to bed at a decent hour on Sunday evening. The next step is to do some calculations. It may seem challenging at the beginning. Fortunately, you will quickly find yourself with an action plan. Some may feel petrified to take any risks considering the information provided above. With Brian’s salary, he does not have flexibility in his budget; however, switching careers is entirely possible. Brian attended a trade school open house at the local community college. He discovered that there were programs as short as six weeks to start his training in HVAC. The entire program costs $2,000, and he would need to leave his current position as it is full-time during the day. Night school courses are available; however, his current job would be a distraction. The learning curve might be too steep; therefore, Brian would prefer to give it 100% of his attention. During the open house, there were a few general contractors and HVAC employers handing out business cards. If Brian were to take this program seriously, he should be able to find a job shortly after finishing his program. Without any relevant work experience, Brian would have to start from the bottom. Brian discovered from the plan he created on ChangeUP that he would need $1,326.30 per month to cover his basic needs while attending school. This amount leaves nothing for discretionary spending, so he would like to have an extra $250 per month to have a social life. Since the program is only six weeks, he should give himself an additional two weeks to find an entry-level position in his new field. His total cost for the two months equals to $5,152.60. Since Brian has $3,645 in savings, he would need to borrow $1,507.60 or wait until he has enough saved. Brian has concluded that his new job will pay approximately the same amount he is currently making an Accounts Payable Clerk. Fortunately, since there is high demand in HVAC, he could expect to see significant pay increases within a reasonable period. Brian has an $8,000 credit limit on the line of credit he used to pay for his diploma in accounting. With a current balance owing of $4,300, he would have the capacity to increase his balance by the $1,507.60 needed. Brian wanted an extra $250 per month for discretionary spending; Brian may discover it isn’t required. Most likely he will probably end up spending more. PROS of Option 1: Brian gets to leave his job and move on to a new chapter in his life. His discretionary spending may decrease in the interim (i.e., going out on weeknights to compensate his dissatisfaction at work). CONS of Option 1: There isn’t a guarantee that he gets a job after finishing the program. The stress of completing the program on the first attempt could add to Brian’s stress levels. Brian discovers he doesn’t like field he is entering after the first few months. There may be some wiggle room in Brian’s budget, but it would limit his social life. Brian currently allocates $445 per month into his lifestyle/entertainment budget. $75 per month previously was Brian’s average for work-related entertainment. The following six months will require a lot of compromises; however, this could motivate him with the reality of eventually quitting. PROS of Option 2: Brian is not increasing his debt exposure. There is also an opportunity to network before starting the program. Even, if he is concerned about the learning curve, he will have sufficient time to get caught up on his first day. CONS of Option 2: Brian already has an issue with his current position. Thus six months could feel like a lifetime away. He could be at risk of losing his job prematurely if his employer discovers that he is eventually quitting. Taking on more debt is not to be taken lightly; however, the pros of Option 1 could outweigh the risks. His current budget would have his debt repaid in 22 months; however, with Option 1 (increasing LOC) he could expect a repayment period of 30 months. The conclusion does not acknowledge his potential earnings increasing shortly after changing careers. Newer Post Finding your runway – A guide for startup founders self-financing	Older Post The entrepreneur is dead, long live the entrepreneur!